I'm so thrilled to announce that I join amazing Studio Katia Design Team! Yayyyy! I'm a big fan of Studio Katia's fabulous products and it's a great pleasure to be their designer for me. For next 3 days from today, Studio Katia design team will show you preview of May 2018 Release. 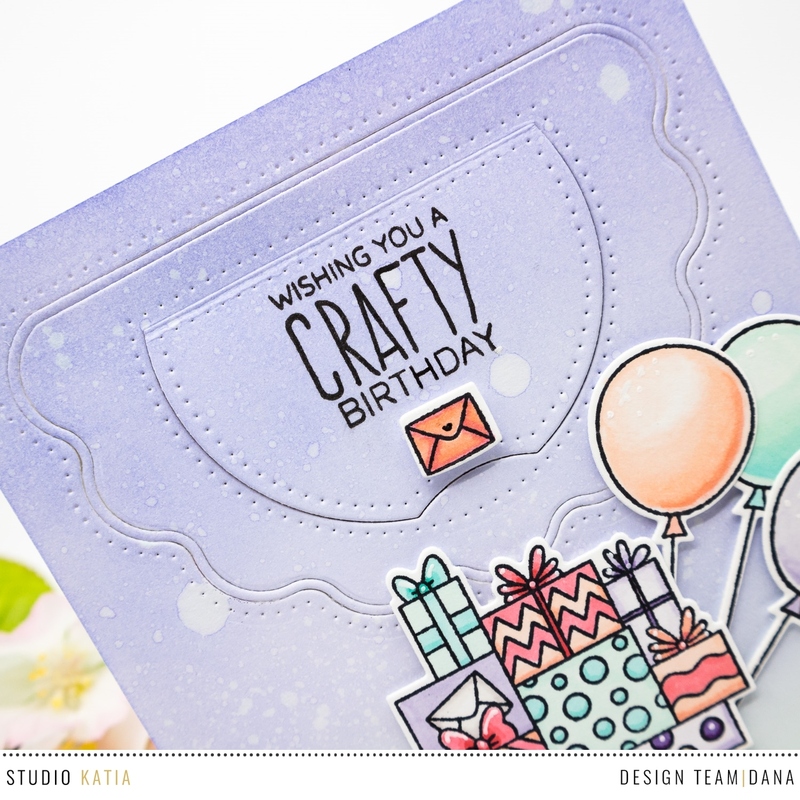 In this month, Studio Katia turns 2 years old and I have a birthday card to share with you today. Here is what I came up with. 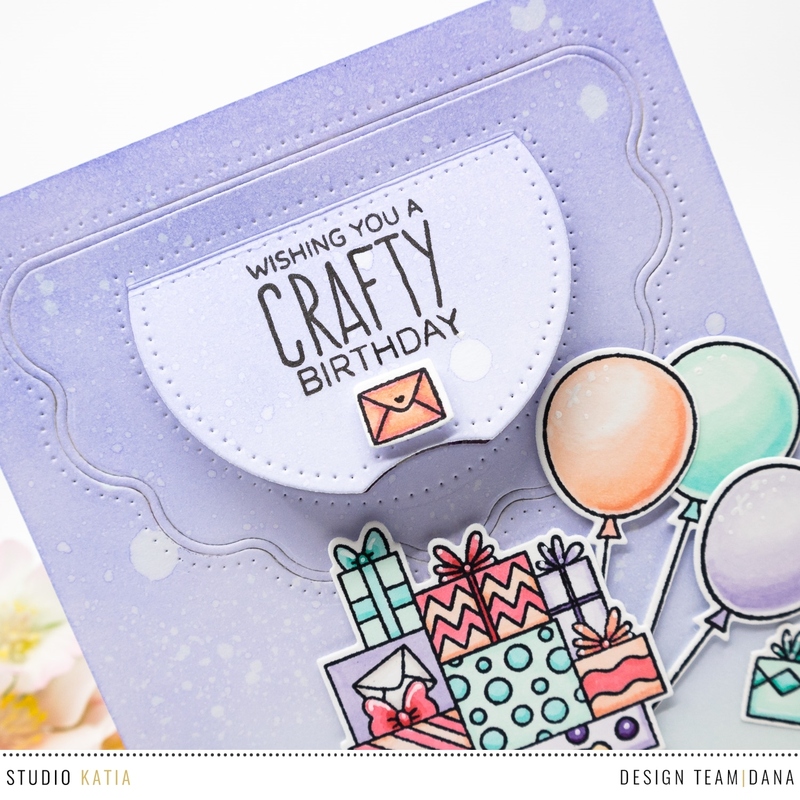 To start, I stamped images from Studio Katia Kobi Bearing Gifts Stamp Set. I colored them with Copic and other alcohol markers and die cut all of them using Coordinating Die Set. I added highlights using white gel pen here and there as well. I then pulled out A2 sized Bristol paper and sponged Shaded Lilac and Cracked Pistachio Distress Inks using mini blending tool. I splattered clean water and let it dried. I then made a shaker window using Studio Katia Scallop Window Die. 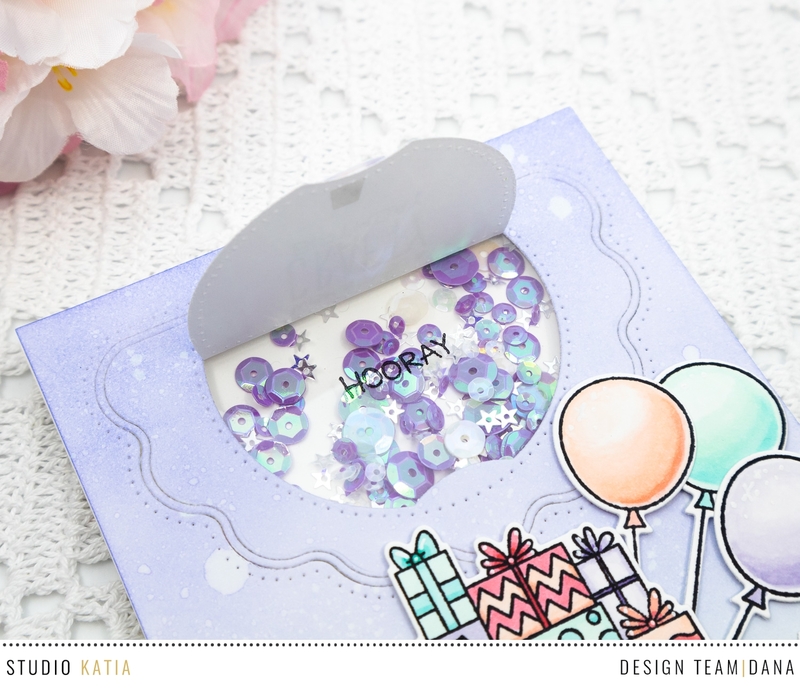 I stamped sentiment from Studio Katia Birthday Greetings and popped up small envelope using foam adhesive. Next, I built a shaker using foam tape and I mixed sequins with Studio Katia Luminous Lavender Fusion and Crystal Stars. 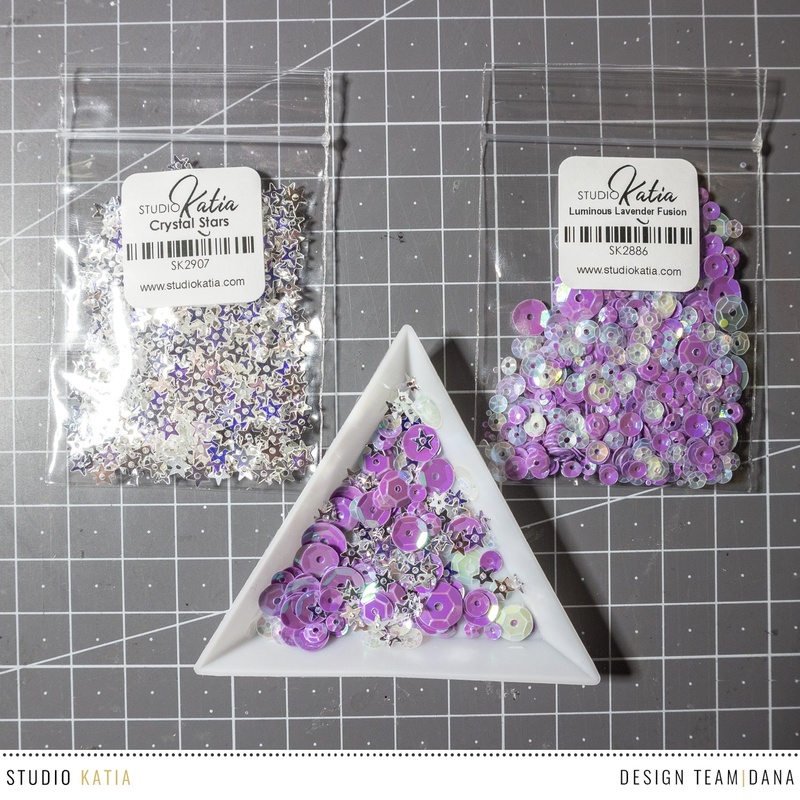 At this time, I used Studio Katia Triangle Tray for sequin blending and placing sequins in the shaker. It's a kind of life saver! I stamped 'hooray' from Studio Katia Kobi Bearing Gifts Stamp Set onto acetate using StazOn Jet Black. To make a window fixed, I added small piece of double sided tape as shown in the picture.